The all new Venum Ankle Support Guard. Made with the quality that makes Venum one of the most trusted brands in MMA gear today, the Venum Ankle Support Guard offers remarkable protection. Guaranteed, you’ll be using this for a long time. The Venum Ankle Support Guard comes in black, blue or red. 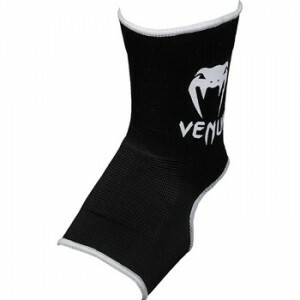 The Venum Ankle Support Guard is available at MMAWarehouse for $13.99.